I have deferred the post about how Sesame is built in favor of publishing a new update. This new release offers major features such as the ability to quickly filter and sort data, select columns, and create hyperlinks to OData. The data grid will be refreshed immediately after you apply a filter. It works in the same way for sorting. 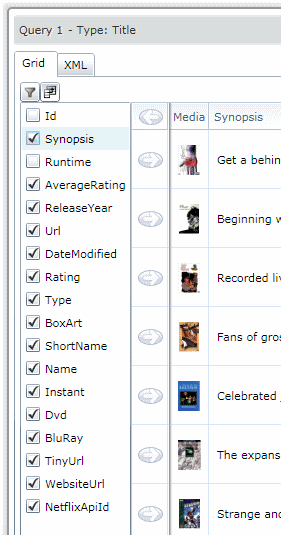 Clicking on a column will immediately update the query and refresh the grid. 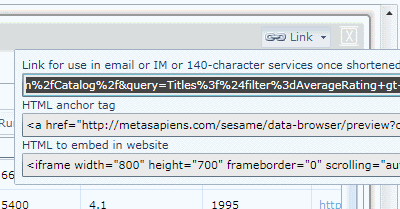 The other main feature of this release is the ability to create hyperlinks to Sesame. That's right, you can ask Sesame to give you a link you can display on a webpage, send in an email, or type in a chat session. I'll give more examples in a post to follow. Please try Sesame Data Browser now and let me know what you think! 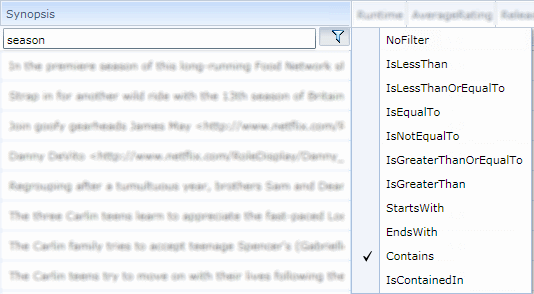 PS: if you use Sesame from the desktop, please use the "Remove this application" command in the context menu of the destkop app and then "Install on desktop" again in your web browser. I'll activate automatic updates with the next release.